All businesses need an interactive catalog these days. If your organization delivers the interactive catalog to customers or if you decide to publish it online, this will definitely help you introduce your products more comprehensively and widely as well. This is one of the most effective ways to promote your business in less time and with lower costs. Check out the five options that we gathered for you in order to help you make an easier choice. You can use Flip PDF in order to engage your audience with interactive media and get the best appearance. This tool offers an amazing selection of themes, templates, scenes, and backgrounds. You will get support for interactive elements such as links and also rich media. Flip Pdf offers HTML and Flash output, and the possibility to share online and offline as well. You can embed the catalog into your website if you want to. You will be able to customize an excellent appearance for your catalog, and you’ll be able to inject life into your digital content with videos, sound, image slideshows and more. 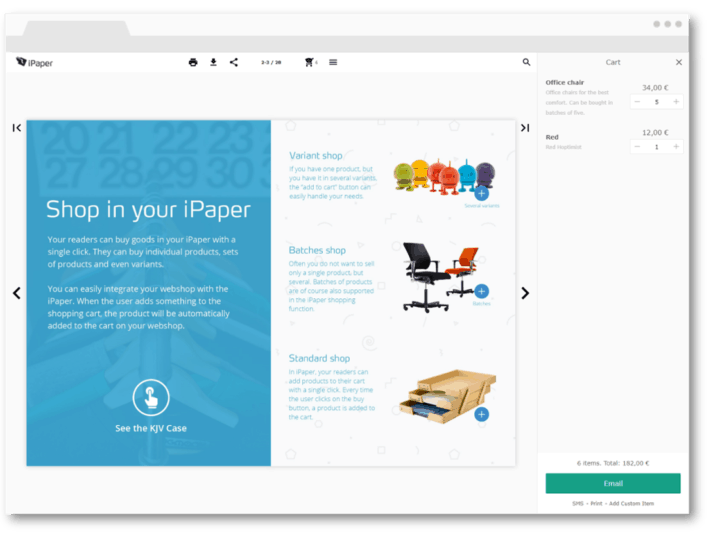 Flip PDF is a professional but at the same time an easy-to-use digital catalog maker that will make sure that all users have the ability to design their own interactive catalog that will eventually captivate customers to read. MyBusinessCatalog is a great software for creating product catalogs. Whenever your customers need a catalog to check out your products, this tool will turn out to be your best friend. Using MyBusinessCatalog will spare you from asking for help from experts who usually turn out costly beyond imagination. MyBusinessCatalog comes with various options that will allow the customization of your catalog according to your preferences. You will be able to easily create catalogs from just a simple database. This tool provides a user-friendly interface that allows you to create your catalogs effortlessly. MyBusinessCatalog enables you also to create links automatically that will send your potential customers straight to the product’s webpage. 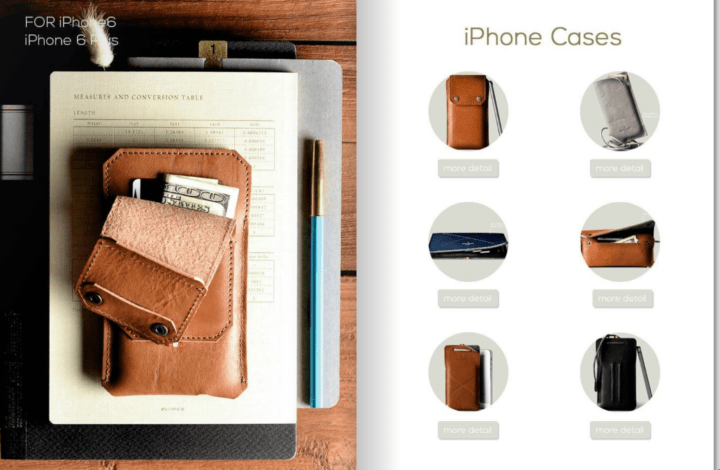 You will also get the chance to easily create various designs such as catalogs with and without prices and catalogs without the business’ information in case you want to send them to your resellers. One of the best things about this software is that it updates the catalogs automatically. All you will have to do is to update the Excel spreadsheet every now and then without having to go through the hassle of redesigning your manual every time you want to change something. Overall, using MyBusinessCatalog, your products will be as attractive as possible, and your customers will enjoy the best presentations. You can take a look at the complete set of features that are packed into the software by heading over to the official website and give it a try. – Download it now FREE from the official website. With the help of iPaper, you will be able to drive sales, get leads and you can do all this with online flipbooks. You will be able to turn your catalogs into engaging online flipbook to increase your sales and generate great leads. With iPaper, you can enable shopping straight from your online catalogs for instance. You can turn your online catalogs into effective sales and conversion tools. Using iPaper, you can engage your readers to stay longer and also get in touch without interruptions during their flipbook experience. 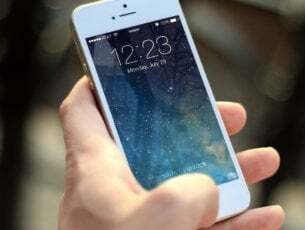 You will also be able to bridge the gap between your offline and online channels. 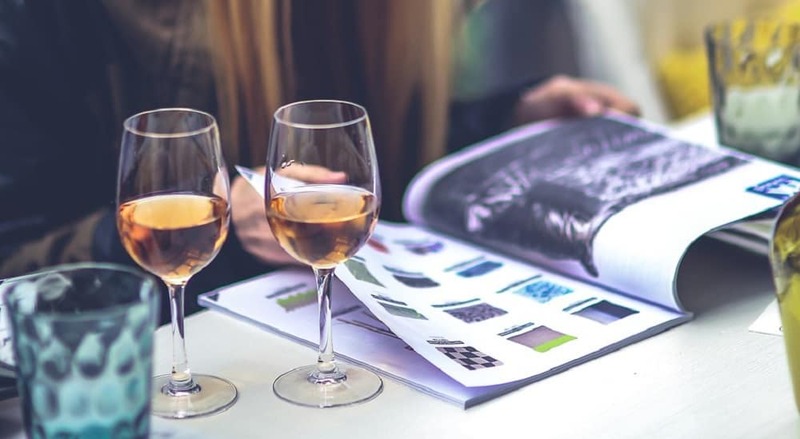 With iPaper, you will get the chance to turn your print catalogs into useful marketing tools. Check out more features included in iPaper by starting a 14-day free trial. FlipHTML5 is a great tool when it comes to catalog creating and publishing. Using this tool you will be able to create amazing interactive content. This is one of the leading free catalog creators that you can find online these days. FlipHTML5 allows you to add prices and links for your products. You will also be able to add an About Us in the reading interface of your company. This tool can help you get to know your customers better using the Google Analytics Integration. You will be able to track readers and their behaviors in order to adjust your marketing strategy the best possible way. You can download FlipHTML5 for free from its official website. This tool can save you hundreds or thousands of dollars in production. It’s straightforward to learn using this software even for beginners. You will be able to update the data in CleverCat directly and also to make changes in the original spreadsheet. The template designer is a great feature that you will be able to enjoy. Each product can have up to two photos, 20 customizable data fields, 20 labels and fonts from your computer. With CleverCat the possibilities are endless, so it’s really worth giving it a try. Just head to Catalog Creator’s website and download CleverCat. If you’re looking for a tool to create catalogs on your PC, perhaps you want to consider Catalog Machine. 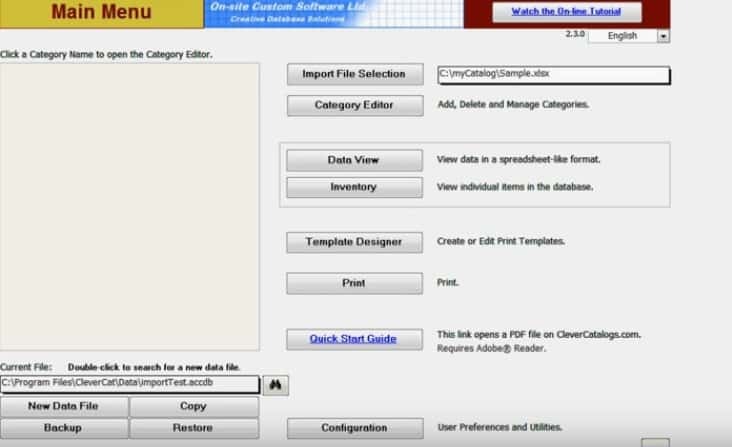 This tool allows you to create catalogs online, and you can easily create both PDF and online catalogs. The tool is incredibly simple to use, and even if you don’t have much experience with design, you should be able to figure out the basics without any problems. It’s worth mentioning that this tool is quite fast, and thanks to the SSL encryption, your data will remain completely safe. 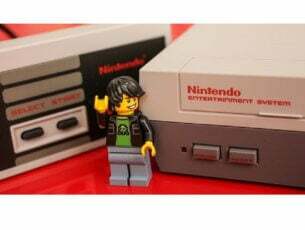 Of course, backup feature is available, so if any problem occurs, there should be a backup of your catalog available at any time. Since this is an online service, it fully supports collaboration, so you can easily work with multiple team members on a single project. 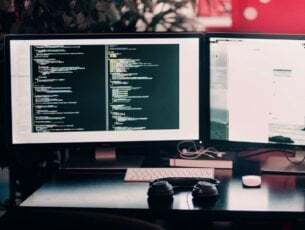 As for customization, you’ll have full creative control over the product data and images, and you can even import your products from online stores and CSV files. Of course, all data is available for change, and you can easily change product descriptions or any other product information. 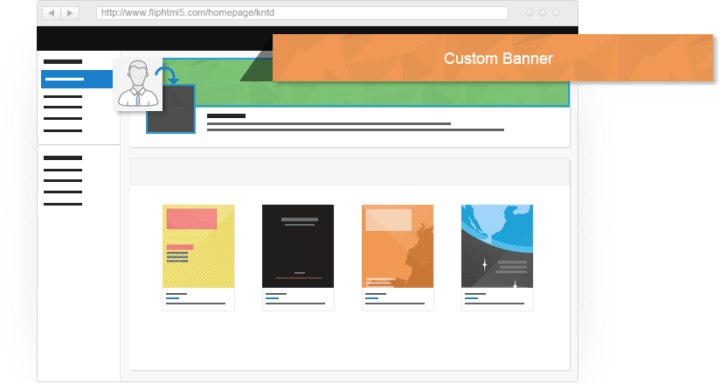 It’s worth mentioning that you can easily design your own templates from scratch or you can use one of many available predefined layouts for catalog pages. 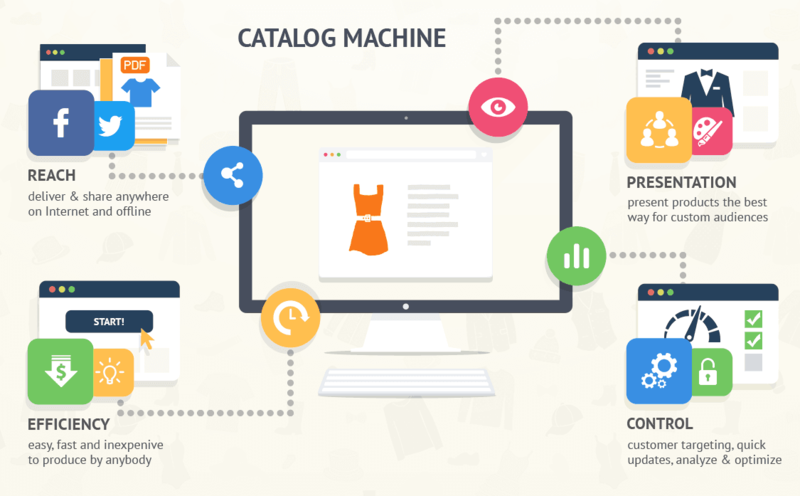 Overall, Catalog Machine is a solid catalog maker, especially if you’re looking for a simple but powerful catalog maker tool. 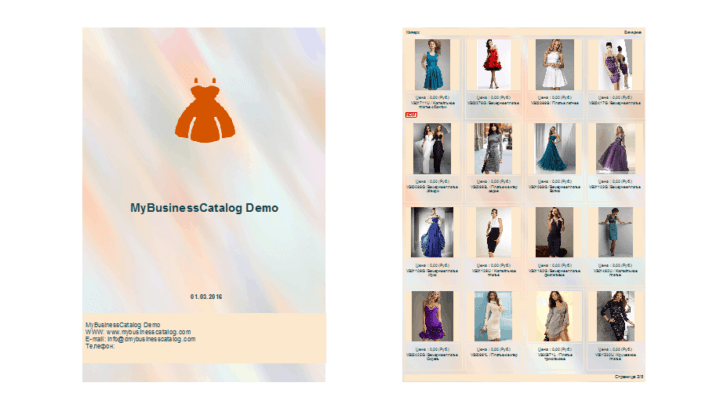 These are currently the best programs for creating catalogs that you can find on the market, after checking out their features you will be able to make an informed decision and choose the best software for your needs.